Securities and Exchange Commission alleges VW pulled down $13 billion by deceiving consumers. 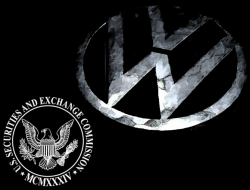 March 15, 2019 — Volkswagen has been charged by the U.S. Securities and Exchange Commission (SEC) for defrauding investors by issuing $13 billion in bonds at the same time senior executives knew more than 500,000 diesel vehicles were illegal. In addition to VW, regulators charged former CEO Martin Winterkorn and two Volkswagen subsidiaries, Volkswagen Group of America Finance, and VW Credit, for raising billions of dollars while offering deceptive claims about "clean diesel" vehicles. The SEC also alleges VW lied to investors and underwriters about the automaker's financial standing and the quality of its diesel vehicles. While investors were told more than 500,000 vehicles were environmentally friendly, the real story was the complete opposite as the vehicles emitted up to 40 times above legal levels of nitrogen oxides. Volkswagen investors were forced to watch as the automaker paid about $30 billion for deceiving U.S. regulators and the public about the clean diesel vehicles. According to charges by the SEC, Volkswagen "perpetrated a massive fraud" by pulling in hundreds of millions of dollars by issuing securities at better rates based on lies about the diesel models. The complaint says Volkswagen should give up all its "ill-gotten gains with prejudgment interest" and pay civil penalties, although regulators didn't say how much that will lighten VW's wallet. VW responded to the charges by claiming the SEC action is "legally and factually flawed" and only a move to get more money from the automaker.